Each purchased download's vendor gets awarded the proportional points amount. 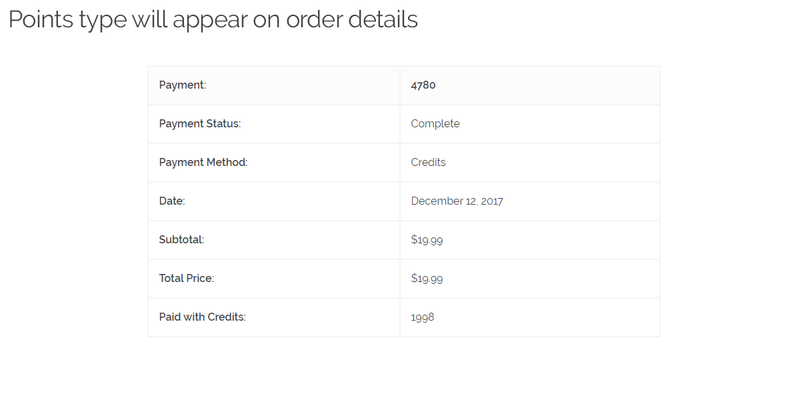 Fixed user points balance labels at resume on checkout. Fixed wrong priority when overwriting a template. Added new filters to the checkout output to make it more customizable. 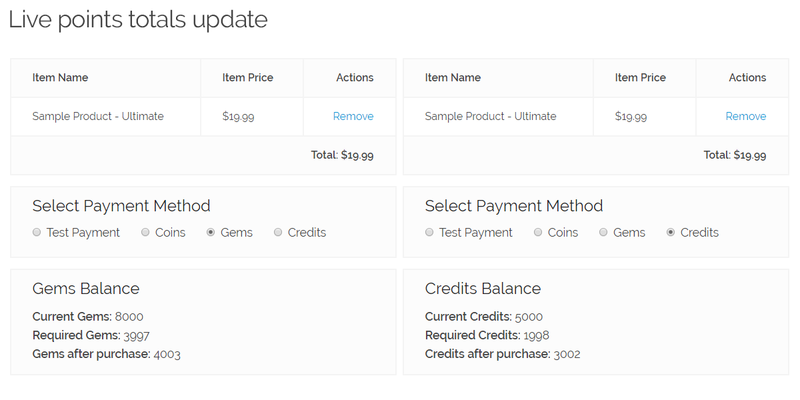 Added new filters to the checkout and receipt output to make it more customizable. 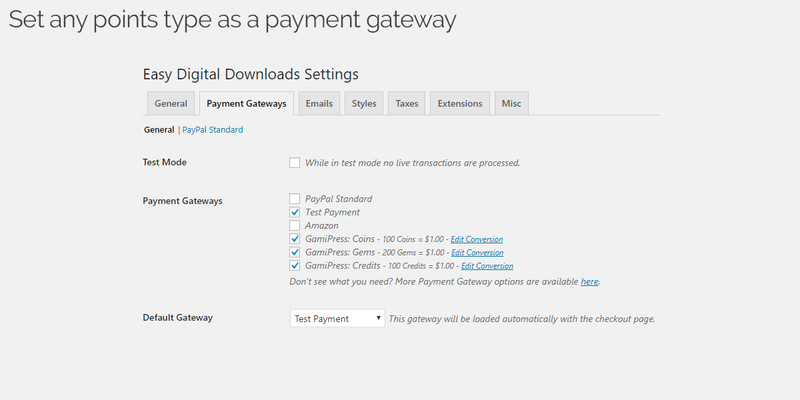 Easy Digital Downloads Points Gateway gives you the ability to use GamiPress registered points type as a payment gateway. In just a few minutes, your users will be able to complete any purchase by expending an amount of points. Just define the conversion rate and this add-on will make the conversions automatically on each purchase. Enable any points type as a payment gateway. 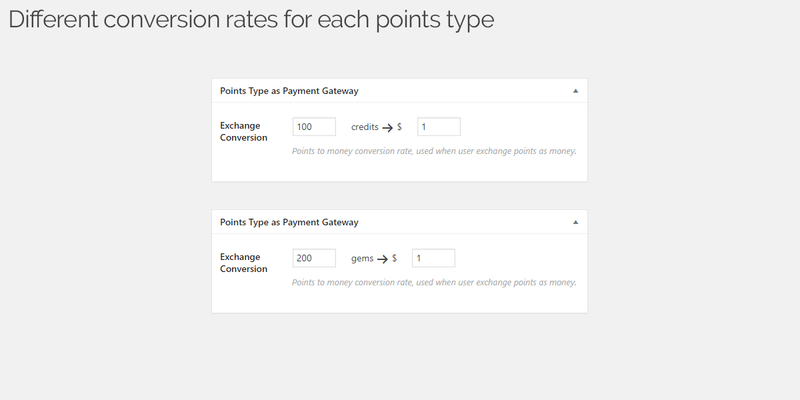 Set different conversion rates by each points type. Points will be awarded to the download’s vendor. Ability to restore user points on refund. Points total will be displayed at checkout and on purchase receipt. Easy Digital Downloads Points Gateway allows enable or disable new gateway per product? No, Easy Digital Downloads Points Gateway is designed to register each points type as a new payment gateway. The feature what you are looking for is known as “Conditional Gateway” and Easy Digital Downloads already offers a plugin specially for this purpose that you can check here. In addition you can use the Easy Digital Downloads integration to add activity events related to Easy Digital Downloads actions.